OMG Posters! » Archive Scott Hansen at Function13 - OMG Posters! If you’re in the Toronto area, you’ll have a great chance to see the work of designer Scott Hansen (aka ISO50). In addition to being an immensely talented designer, he also runs one of the best design blogs out there. 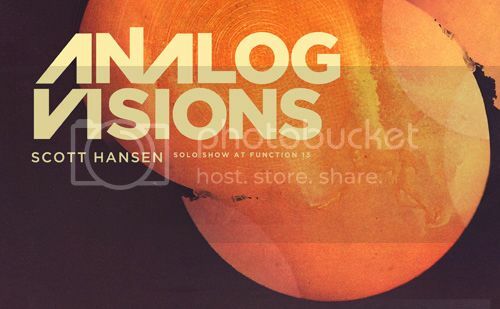 There will also be an afterparty with a musical performance by Hansen (his musical moniker is Tycho). This all starts Friday, November 20th at 6pm. Function13 is located at 156 Augusta Ave. in Toronto. Visit Function13.ca. Me too. Thanks for the heads up. Oooo! Love his blog! What a great find. Thanks!